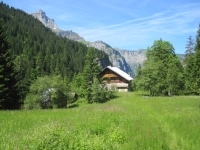 Superb Chalets/accommodation in Sixt, Samoens area. Chalets to rent in French Alps. Walking, Rafting, Mountain Biking and more. A playground for all in the heart of the alps. Indiana Jones Adventure Park in Samoens.& Adventure Park at Lac Bleu in Morillon. White Water Rafting in Sixt Fer a Cheval & in Samoens. Within an hour by car you can reach the shores of the dreamily beautiful cerulean blue Lac Leman (Lake Geneva). As you sit in the shoreside bars and restaurants enjoying the sun and a glass of wine it is an unbelievable experience. The majestic mountains as your backdrop, relaxing only a short while after your earlier adrenalin charged activity. It is here that you can enjoy the beaches of the lake, sail or visit some of the many lakeside spa towns - Evian, Thonon and the medieval village Yvoire. 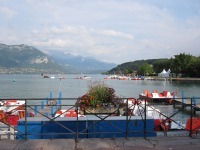 Chamonix and Annecy are also well worth a visit and can be reached in about an hour by car. Here in the Alps there is a rich cultural heritage with much of great historic interest in the immediate area and an amazing variety of natural geological marvels from mother nature. You are here, enjoy the great playground of adventure or just relax in the beautiful surroundings. Please refer to our terms and conditions of booking. Take a moment in time, stop, and hear the heart beats of this great lady!